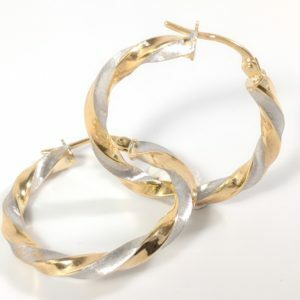 14KT yellow or white gold bamboo styled hoop earrings. 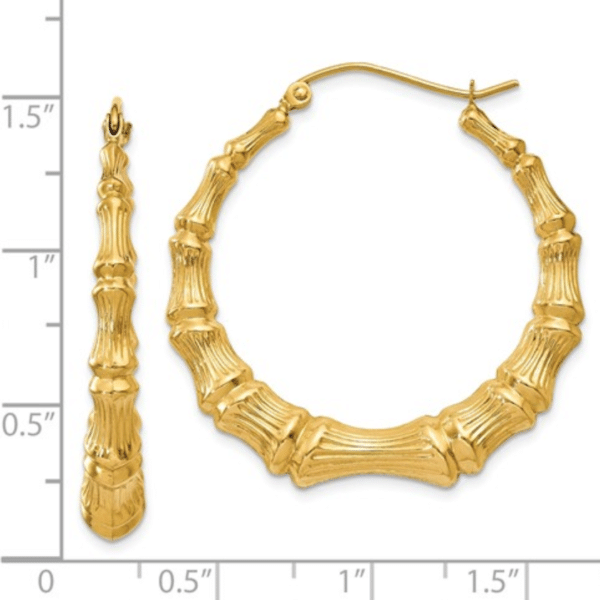 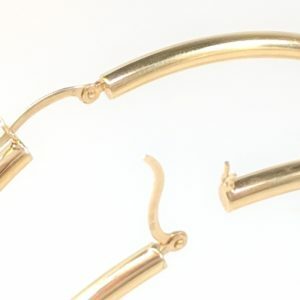 These hoop earrings are medium in size and are hollow. 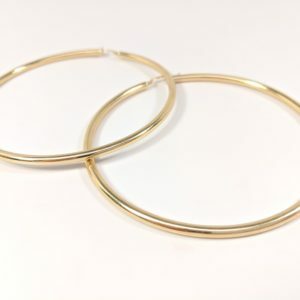 These medium sized Bamboo earrings/hoops are sold in pairs and are made entirely of your choice of 14KT yellow or white gold. 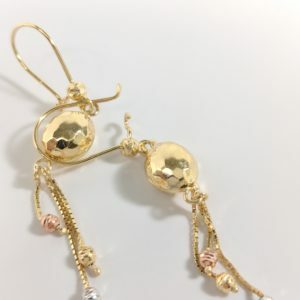 These earrings have a wire hinge closing mechanism. 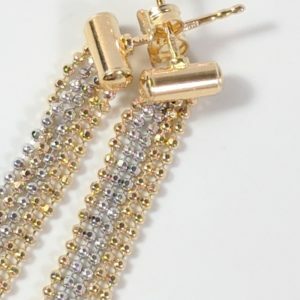 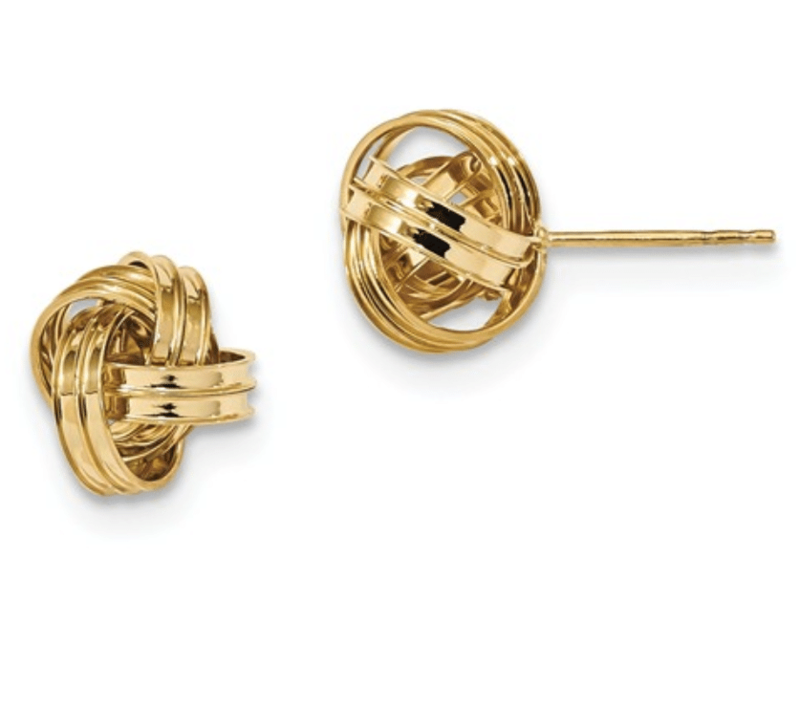 After placing these hoops in your ear, push down on the wire post and they should delve into the v clutch of the earring. 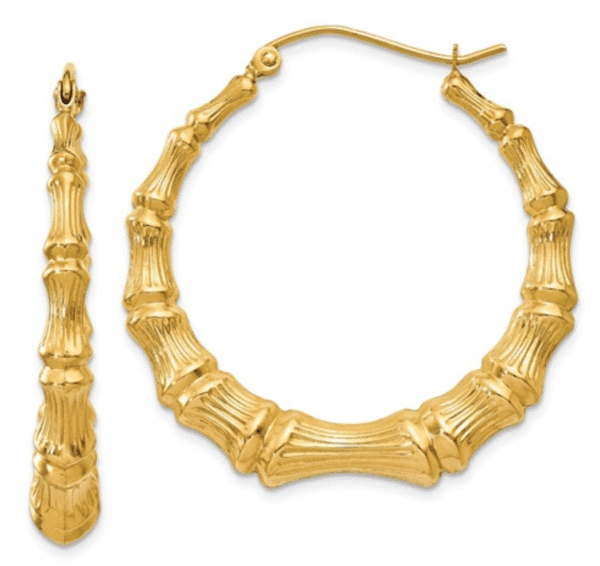 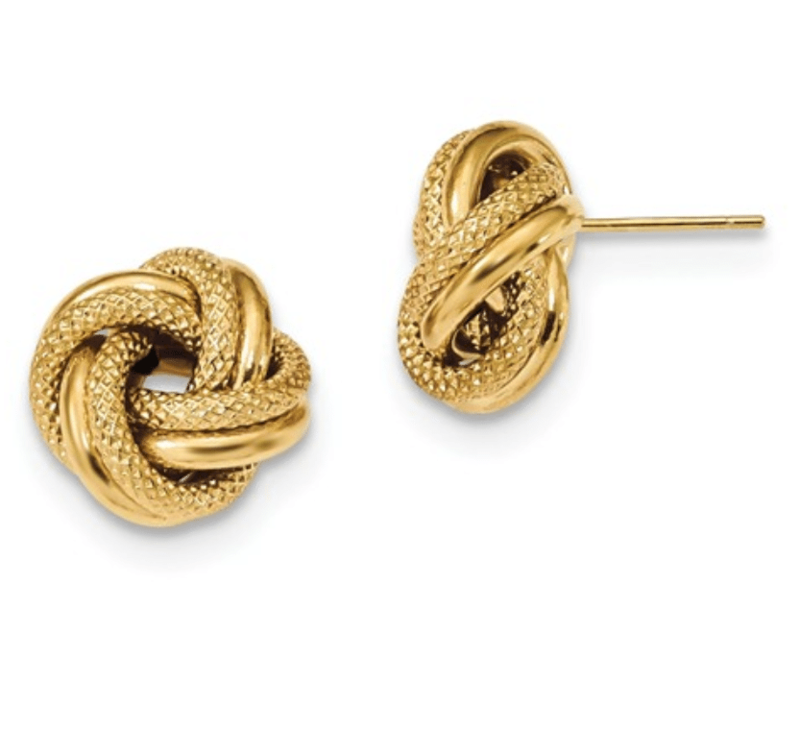 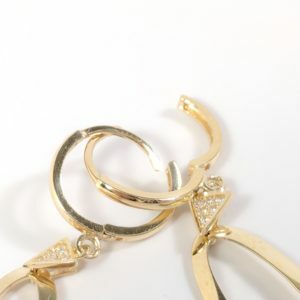 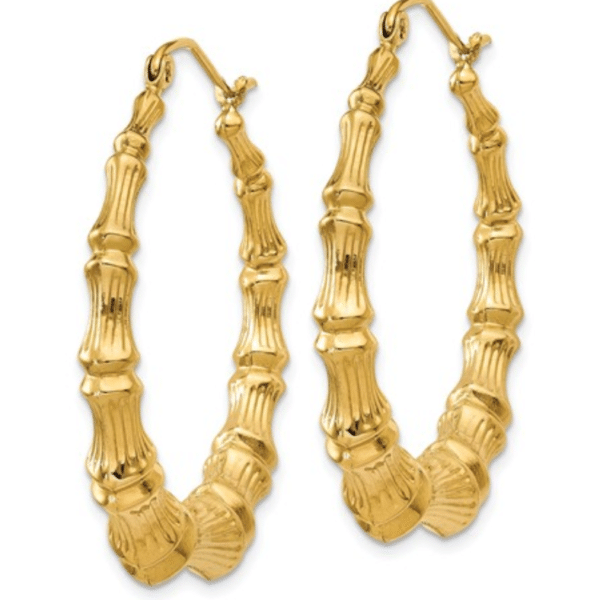 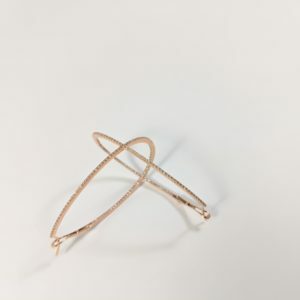 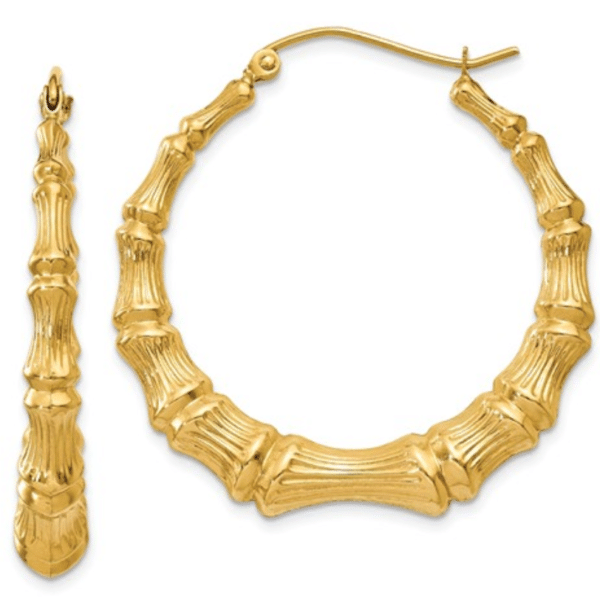 Two tone twisted 14 karat gold hoop earrings. 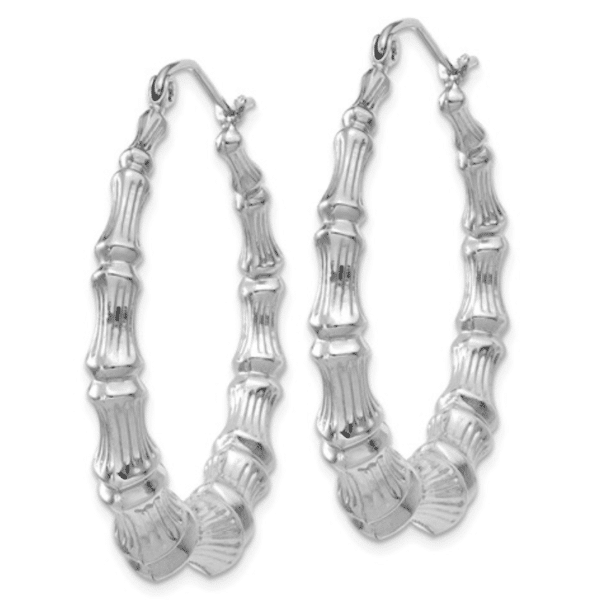 They are high polish and satin finished design. 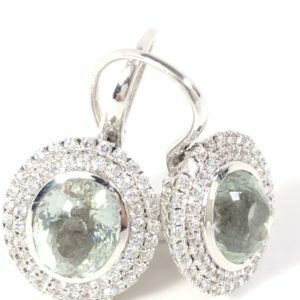 Stylish and light weight for everyday wear. 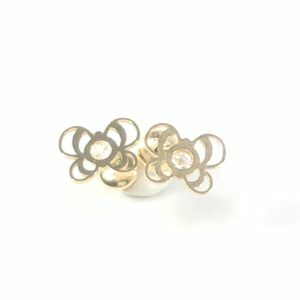 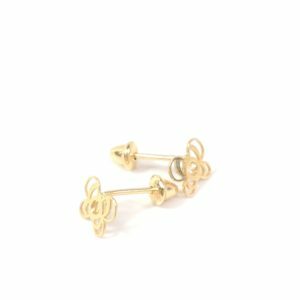 Butterfly Stud Earrings with cubic zirconia in 18 karat gold; these earrings have screw backs for secure wear and they are hypoallergenic. 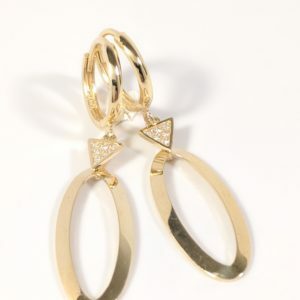 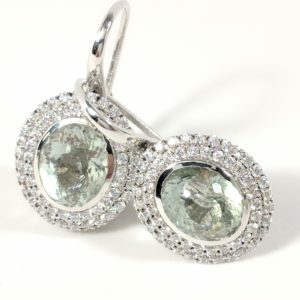 Lavishly brilliant hoop earrings that will add classic glamour to your look. 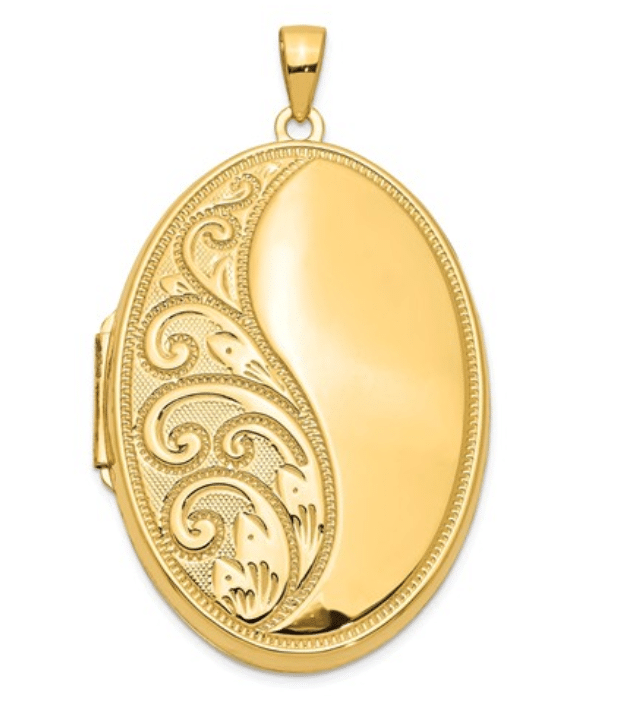 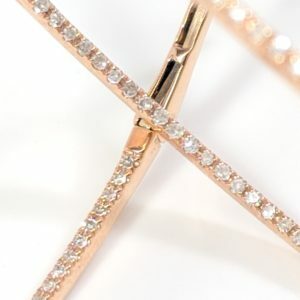 Crafted in 14 karat rose gold with french lock for added security. 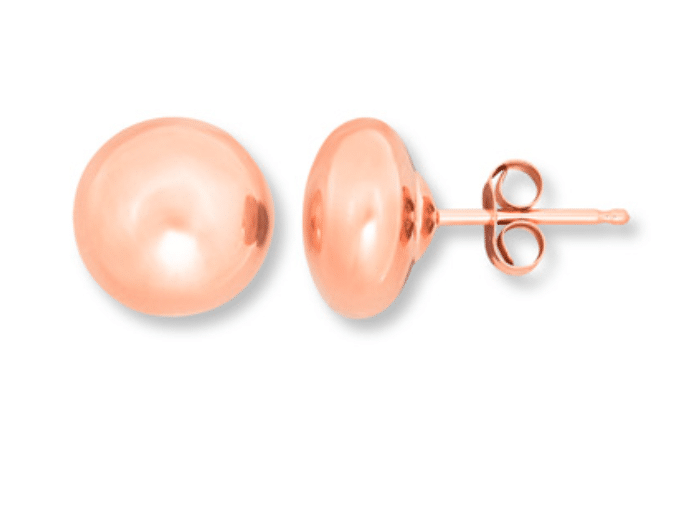 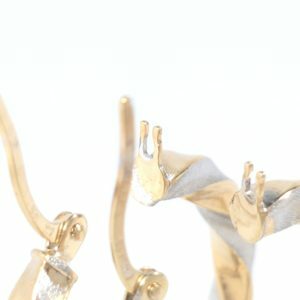 These stylish 14 karat yellow, white and rose gold long earrings are ideal for any occasion. 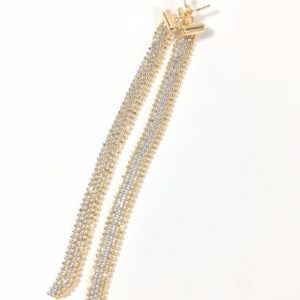 Backs are H wire and they are 1.5″ in length.